I believe this is the first time I’ve ever blogged about an item of T Shirt Printing….not something I normally do, but this was too geeky not to. 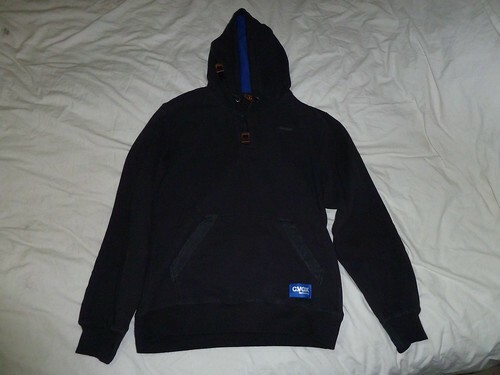 So, Monday night I was browsing the Chavsdirect SportsDirect site as I needed some new clothes for the gym, and they had a sale on. 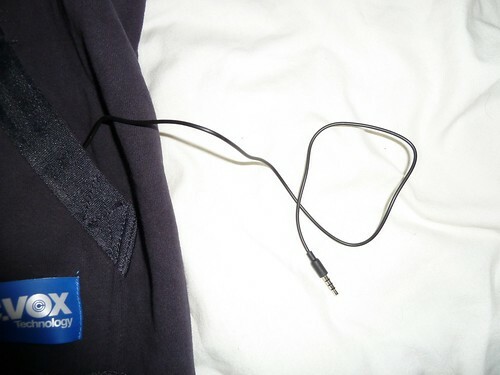 The goods turned up last night, and while trying on the hoody, I found a Brucy Bonus !…..I put my hand in the front pocket and found 3.5mm headphone jack….confused by this I started looking at the rest of the hoody and found a play/stop control, and speaker headphone control. 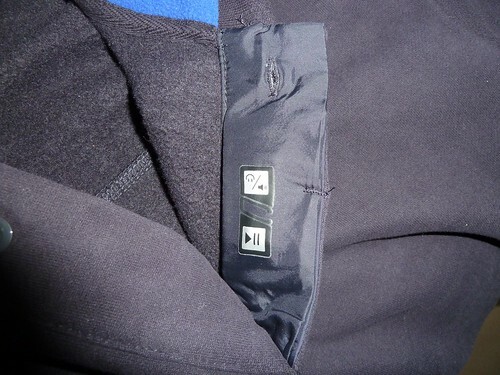 After continuing to search I found there are small speakers in the hood as well as 2 earbuds in 2 hidden pockets near the hood. Obviously, the first thing I did was plug in my iPhone 4 and hit the play button….it worked ! 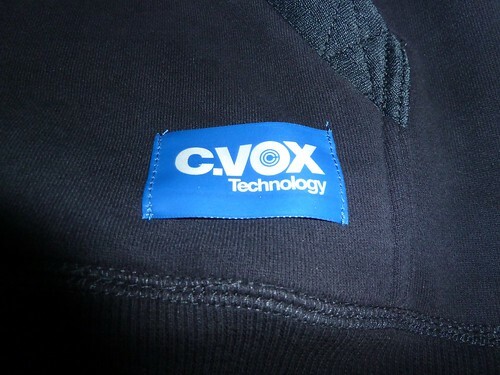 Held down the play button…guess what, I got the voice control function……so I spoke, and sure enough there must be a mic concealed somewhere in this hoody and the voice control started phoning the persons name I’d just called out….awesome ! 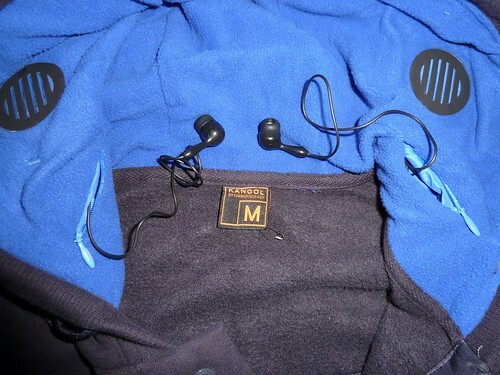 The other button essentially switches between the inbuilt speakers, and the earbuds. The quality to be honest it a little tinny, but as I mainly listen to podcasts and audiobooks, this isn’t going to be a problem. 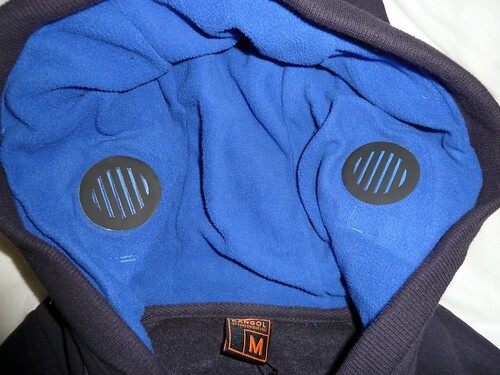 There is no volume control built into the hoody, but there is plenty enough cable to pull out your phone and adjust the volume from there. Below are the pic, this was only £12 (plus vat), but an absolute bargain if you listen to a lot of podcasts/audiobooks on the go. 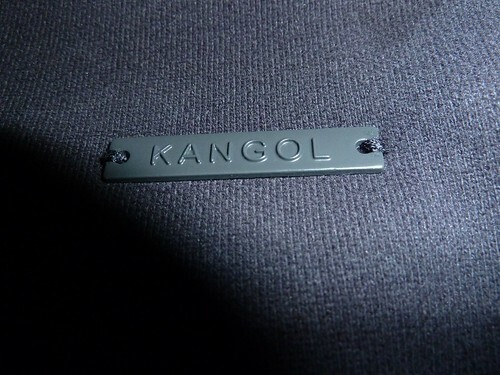 After doing a little more digging, it seems Kangol do a full range of Jackets and Hoodys with the C-Vox technology.